I love boiled eggs. 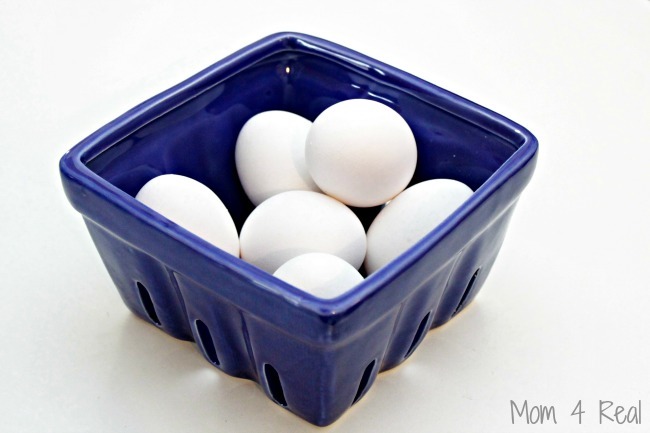 I use them in salads, eat them for breakfast, add them to different dishes, and of course love to make deviled eggs! There are many ways that you can boil them, but I’ve been boiling them the same way for years, and they always turn out perfect! Today I’m going to show you How To Boil Eggs and am sharing a quick video showing you how to peel boiled eggs in seconds too! 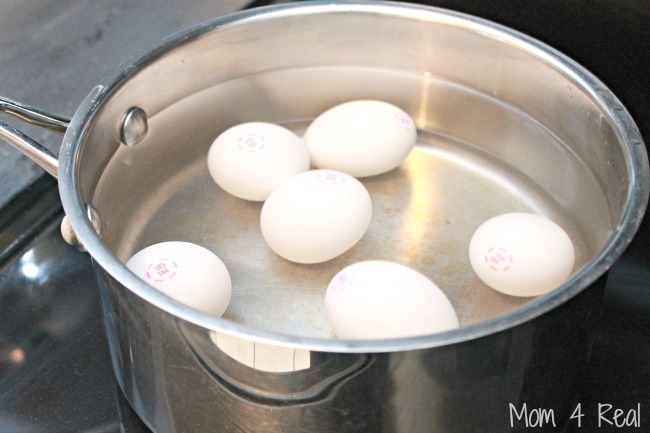 I usually boil 6 eggs at a time…you can totally boil more or less! Place them in a pot and cover with an inch of cold water. 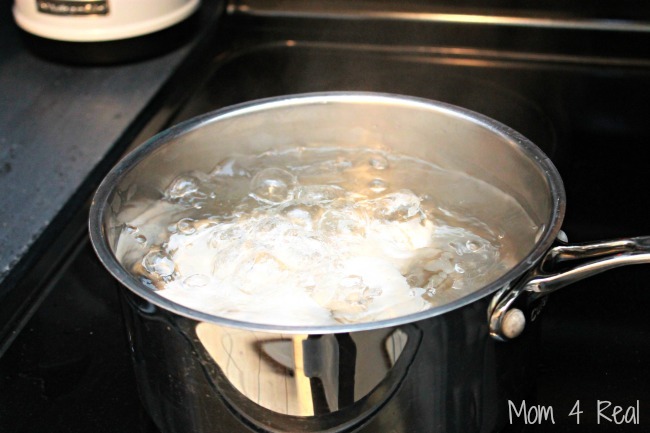 Bring the water to a rolling boil, then remove the pot from the burner and let sit with a lid on for 10 minutes. I always set an alarm, since the eggs are still cooking in the hot water even though it isn’t on the stove. 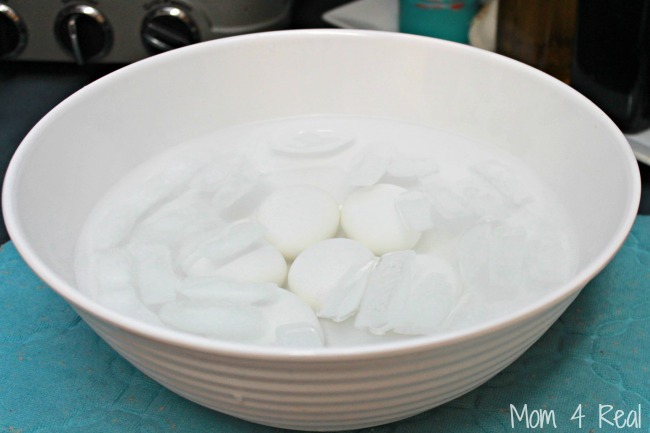 Place the eggs in a bowl of ice water using a slotted spoon and let cool for a few minutes. I usually let them sit for 10 minutes. Now you will want to peel them…there is a quick 30 second video below showing you my trick! Now they are ready to use, or you can store them in your refrigerator for up to one week. 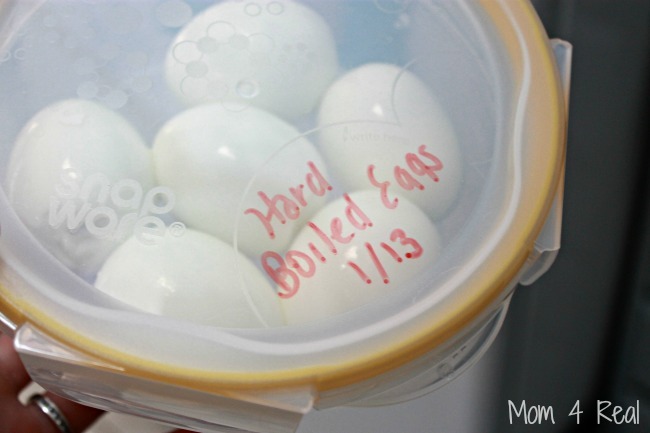 Looking for the easiest way to peel your boiled eggs? 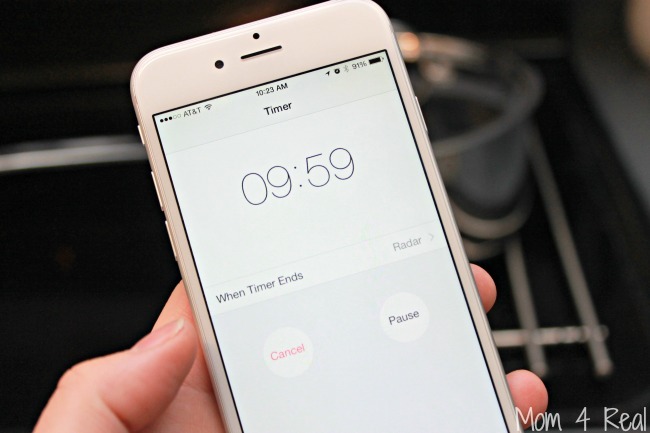 Check out my video…you won’t believe how easy it is! 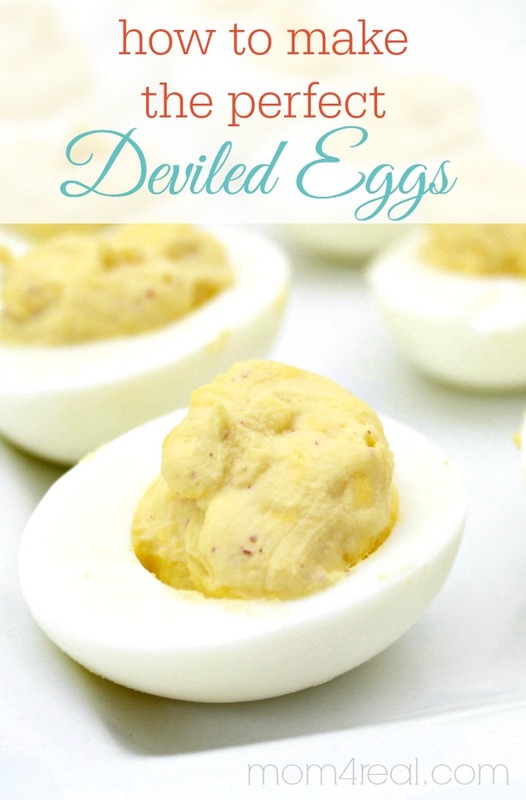 You can also check out my post on How To Make The Perfect Deviled Egg ! 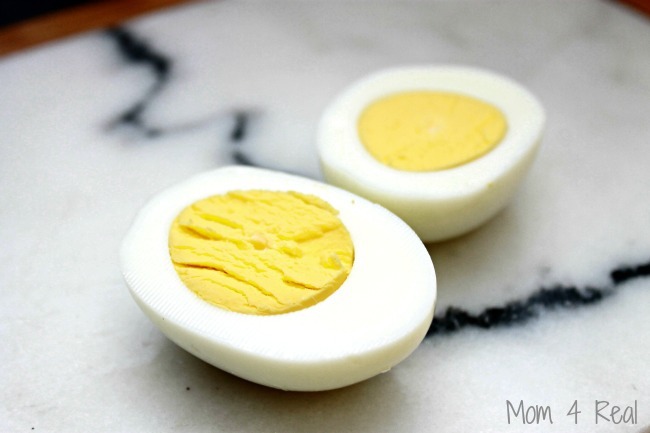 If you own an Instant Pot or another electric pressure cooker, you can make hard boiled eggs with ease! 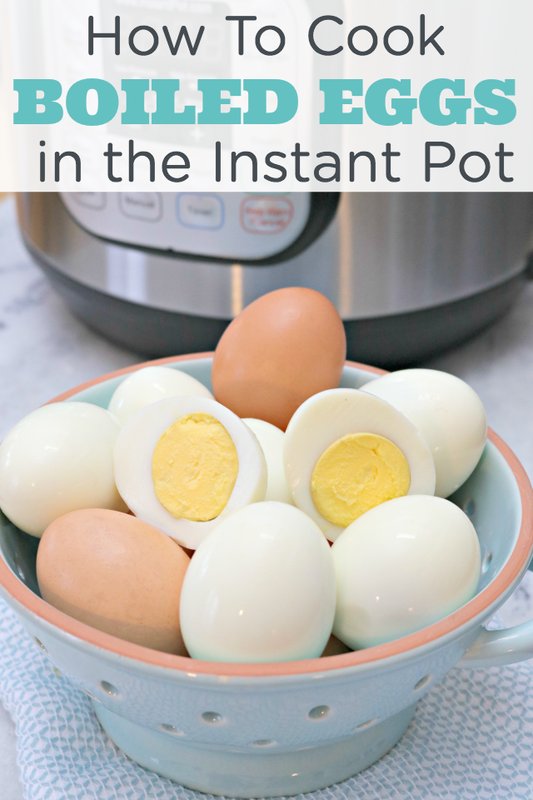 Check out my tutorial on How to Cook Hard Boiled Eggs in the Instant Pot HERE! My yellows were runny, and so were part of the whites. Yuck. I guess I need to let it sit in the hot water longer? Turn out perfect, never a green ring around yolk. Too bad the instructions for peeling was in a video I never watch videos. Maybe you should. No telling what you might learn.